A vast array of data published in a new book based on JPPI’s #IsraeliJudaism Project, proves that Israel’s Jews reinterpret Judaism by mixing tradition and national identity, making questions of continuity obsolete. JPPI’s work conducted by its Senior Fellow Shmuel Rosner and Tel Aviv University Prof. Camil Fuchs, is summarized in a book (Published by Kinneret-Zmora-Dvir) is currently available in book stores throughout Israel. Here we provide a short English language summary of some of the findings. You may also find of interest Rosner’s cover story in the Los Angeles Jewish Journal about the study and the book – linked here, and his article in RealClearPolitics – linked here. The Israeli Jew practices Judaism like no Jew before. Israeli Judaism is unique to a place and to a time. An amalgamation of tradition and nationality. In many cases it is very hard — maybe impossible — to determine where the Jew ends and the Israeli begins, or where the Israeli ends and the Jew begins. To reach this conclusion, we scanned many thousands of data points and utilized several methodologies of statistical analysis. 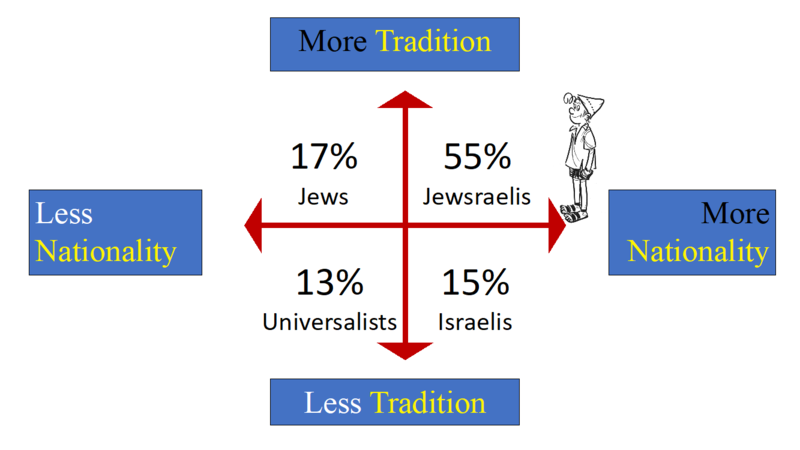 Our most telling model was locating the Jews of Israel on a graph with two dimensions — one for tradition, one for nationality. We used 32 questions from the survey to create a map (if you are an Israeli, we invite you to answer these 32 questions here). If a Jew lights candles on Friday night, they get a point for tradition. If they shop on Shabbat, they get a point for non-tradition. Our map shows a Jewish population unequally divided into four groups. 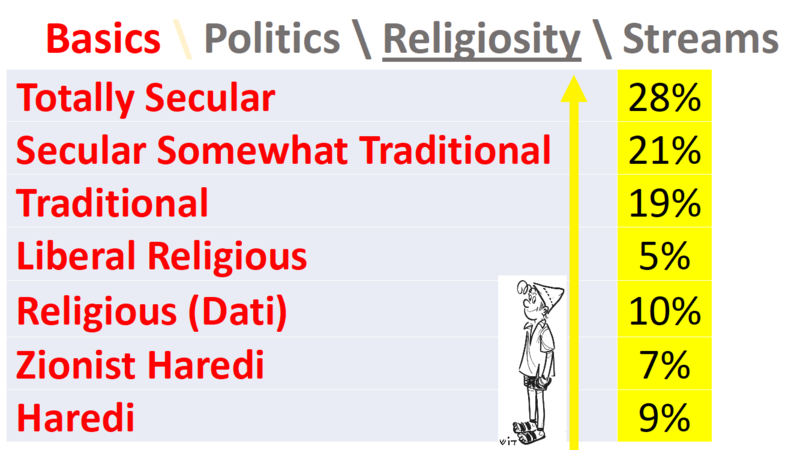 The majority is the group of “Jewraelis” — that is, Jews who score high on both keeping Jewish traditions and on keeping national practices. Here is one example of what such Jews look like: 38 percent of Jewish Israelis raise the flag on Independence Day (nationalism) and make Kiddush on Friday nights (tradition) and say that it is important for them to be Jewish (level of intensity). The percentage of Jewish Israelis who don’t make Kiddush and don’t raise the flag and say it’s not important for them to be Jewish is much smaller — 8 percent. So, we have four groups: Those practicing tradition and nationality (“Jewraelis,” the 55 percent majority); those who mostly practice nationality (15 percent we call “Israelis” in the book, who tend to come from secular quarters of the old-fashioned Labor Party Zionists and whose culture is relatively devoid of keeping Jewish traditions); those who practice mostly Jewish traditions and many fewer Israeli customs (17 percent we call “Jews,” who are mostly Haredi Israelis); and those who, relatively speaking, practice neither (13 percent we call “Universalists” — urban, liberal, left leaning and often alienated from other Israelis). 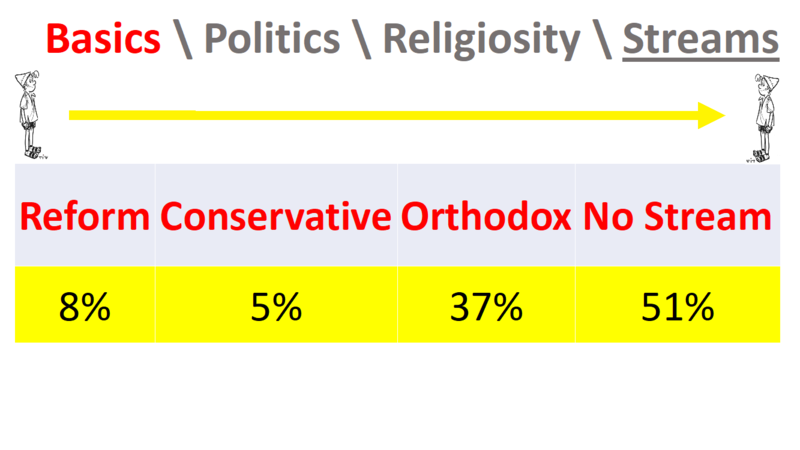 All the numbers presented here are taken from JPPI’s survey of 3000 Israeli Jews, under the supervision of Israel’s leading pollster, Prof. Camil Fuchs. Zionist thinkers, from their early days, believed that the role of a national homeland was to rescue the Jews and Judaism from their cosmopolitan condition. The historian Ben-Zion Dinur expressed that view without mincing words: “There’s one problem with Judaism, and it is called exile.” Thus, political Zionism stressed the need to offer the Jews a physical refuge from anti-Semitism. Its adherents had woken up from the dream of integrating among other nations and believed that only a defined and secure geographic territory could sustain the Jews. Spiritual Zionism emphasized the need to offer the Jews a cultural refuge from assimilation. Its adherents realized that the prospect of preserving Judaism when among other nations wasn’t viable. They believed that only a defined geographic territory could supply Judaism with the spiritual energy for its continued existence. 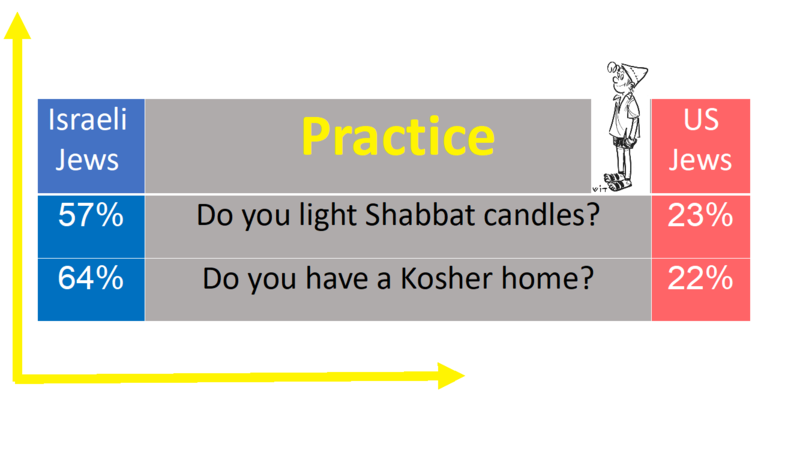 The first shows: Jews in Israel, on average, practice a lot more Jewish tradition than other Jews. This is one benefit of living in a society in which Jewish practice and Hebrew language are given. In 65 percent of Israel’s Jewish homes, candles are lit on Friday night. In 68 percent of these homes, Israelis make a Kiddush. More than 80 percent of Jewish Israelis have a family meal on Friday night — that’s tradition. Jewish Israelis keep many of the Jewish traditions, but without the need to be religious or follow the script dictated by ancient religious texts. 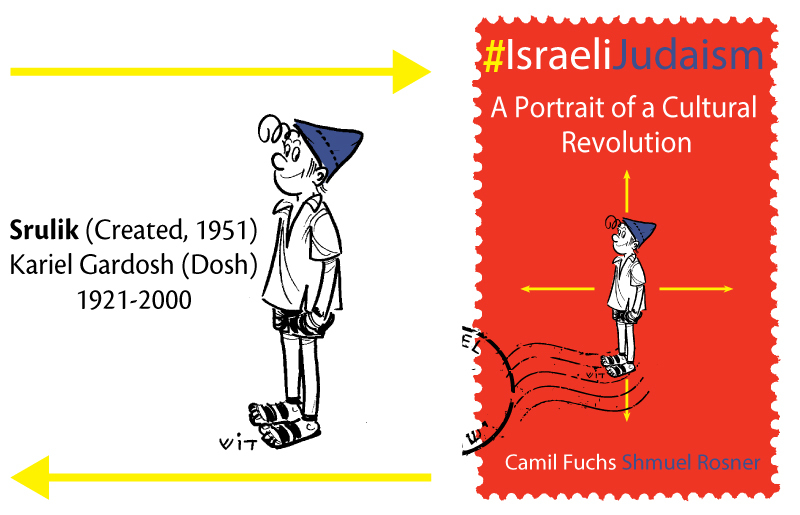 The second shows how Israeli Jews have the habit of mixing Jewishness and Israeliness. Thus, Independence Day becomes a Jewish holiday — not just an Israeli holiday. Most people who celebrate it are Jews. The flag they raise is Jewishly themed. The ceremony on Mount Herzl includes 12 torches lit by 12 Israelis who represent the 12 tribes. Why 12? Read the Torah and find out. Why torches? Go to the Mishna and find out. The themes of the day make it Jewish, as do the views of those celebrating it. We asked the Jews of Israel many questions about their beliefs and values, and from their answers it is easy to extract a simple reality: many of them no longer see a difference between being a good, patriotic Israeli that makes a contribution to Israeli society to being a good Jew. See the questions below about living in Israel, serving in the IDF, and supporting settlements in Greater Israel (Eretz Israel Hashlema). For instance, there are non-Jews serving in Israel’s military, such as Druze and Bedouins; nevertheless, more than 70 percent of Jewish Israelis believe that to be a “good Jew” one must serve in the Israeli army. What about Jewish continuity? For many Israelis that’s a weird question — a question for the Diaspora. The continuity of Israel’s Jewish culture is very much ensured by the environment in which they live. 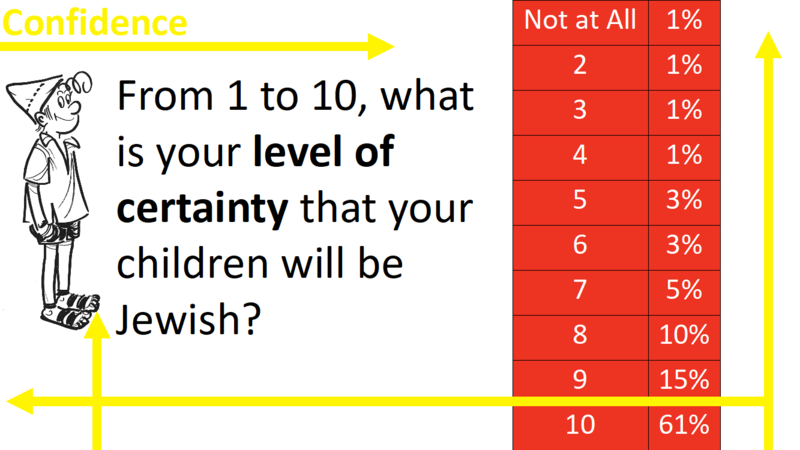 When we asked Israeli Jews about their level of confidence that their children and grandchildren will be Jewish, the outcome was remarkable. 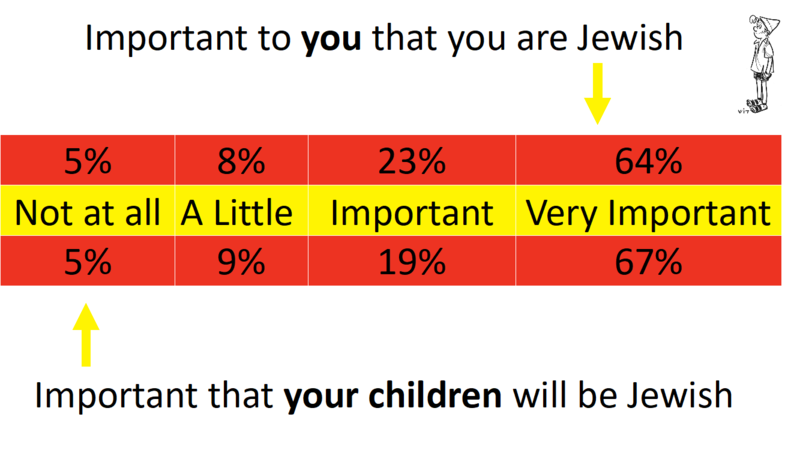 Almost all of them are confident that their children will be Jewish (86%). 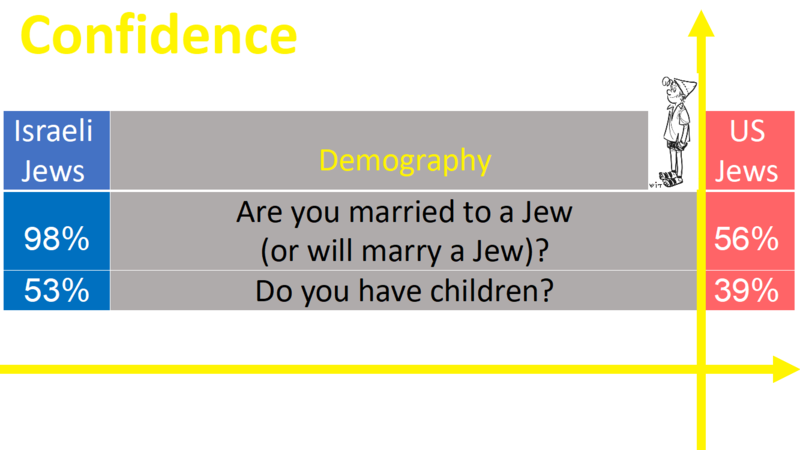 A similar number are confident that their grandchildren will be Jewish (79%). A strong majority of Jewish Israelis, 61 percent, have complete confidence — that is, a 10 out of possible 10 – that their children will also be Jewish. A vast majority, 86 percent, rank it from 8 to 10. And when we asked the same question about whether their grandchildren will be Jewish, the number of responses ranking confidence from 8 to 10 were only slightly lower — 79 percent. 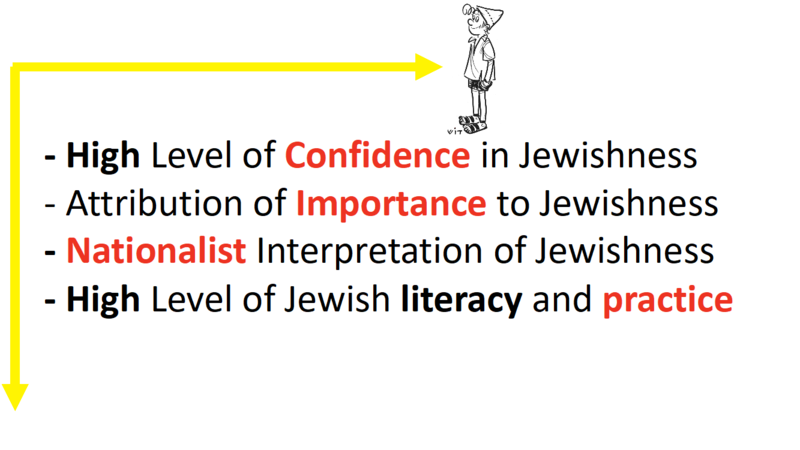 JPPI’s Israeli-Judaism project is headed by Senior Fellow Shmuel Rosner, and Professor Camil Fuchs (Tel Aviv University), who oversees the surveys and statistical analysis. 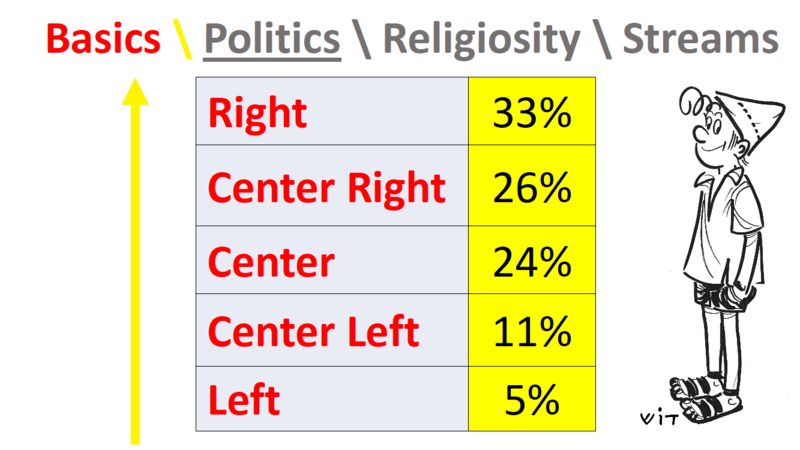 JPPI Fellow Noah Slepkov assisted in data analysis, drawn from a survey conducted of 3000 Israeli Jews in two rounds, one of 2000 Israeli Jews and another of an additional 1000 respondents, a representative sample of the Jewish public in Israel. The statistical margin of error for the sample of 3000 survey respondents is 1.8 percent.